We observed the importance of developing the ruchi in bhagavath vishayam at an early age (http://ponnadi.blogspot.in/2012/08/kilaroli-ilamai-part-1-introduction.html). We observed the basics of Athma svarUpa jnAnam (http://ponnadi.blogspot.in/2012/08/kilaroli-ilamai-part-2-svarupa-jnanam.html). We observed how to avoid dhEhAthma abhimAnam (http://ponnadi.blogspot.in/2012/08/kilaroli-ilamai-3-svarupa-jnanam.html). We observed how to avoid sva svAthanthriyam (http://ponnadi.blogspot.in/2012/08/kilaroli-ilamai-4-svarupa-jnanam.html). We observed how to avoid anya sEshathvam (http://ponnadi.blogspot.in/2012/08/kilaroli-ilamai-5-svarupa-jnanam.html). 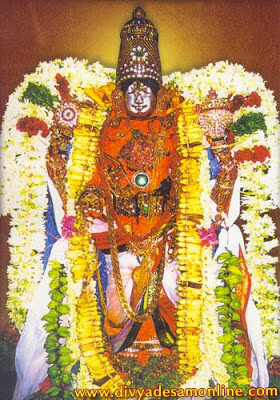 We observed how to develop svarUpa yAthAthmya jnAnam, i.e., bhAgavatha sEshathvam (http://ponnadi.blogspot.in/2012/09/kilaroli-ilamai-6-svarupa-yathathmya.html). adiyen is thankful to all who encouraged adiyen to write this series of articles. If you have any suggestions or feedback please feel free to email adiyen.